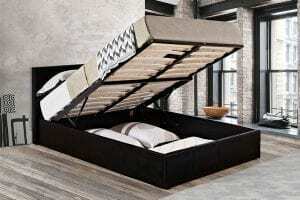 Aside from the fact that it will obviously free up more of your wardrobe by providing extra space, a storage bed can have many advantages over a regular bed. 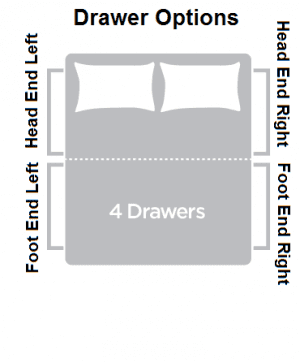 A storage bed frame can eliminate some of the dust problems in hard-to-clean areas of the bedroom. However much you clean, it’s a fact that dust can accumulate under the bed – not to mention items that you “lose” under there, such as the TV remote control or earrings and other small accessories. 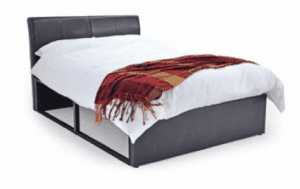 Choose from the luxury divan base with open storage, or the classic Ottoman storage bed, both of which come in a wide range of colours. 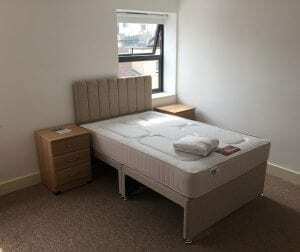 Storage beds can also provide extra stability for the mattress, so it’s a win-win situation when you choose from our high-quality range. 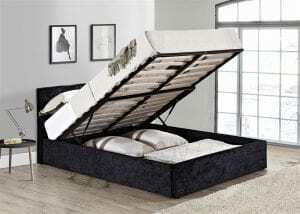 Give us a call on freephone 0800 7819 427 to discuss our storage bed options.